Today is a very special occasion! Hard to believe that I’ve written 50 little tidbits of information for this blog and even harder to believe the number of readers that follow, comment, and like my blog! THANK YOU! In order to celebrate I decided on a little giveaway. I hemmed and hawed over what to giveaway and I settled on two items for my first every giveaway! I considered making something (and several people suggested that) but this week is INSANELY busy for me so I’ll save that for another giveaway. The first item up for grabs here is a gift certificate for $25 to McMurray Hatchery. 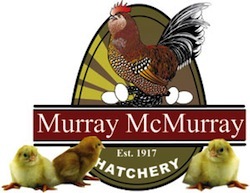 I love the selection, quality and customer service from McMurray and will have a few orders coming from them this spring here at the ranch. One of my lucky readers will be on their way to having some McMurray chicks too (don’t worry if you’re not ready for chicks yet they have great books and supplies you can order also)! The second item up for grabs is a beautiful necklace. I have a really bad habit of buying jewelry and then NEVER wearing it. So one of you is going to become the proud owner of a piece of my beautiful jewelry that I’ve never worn. I seriously should start doing giveaways from my closet like PW does. So much great stuff that never sees the public. 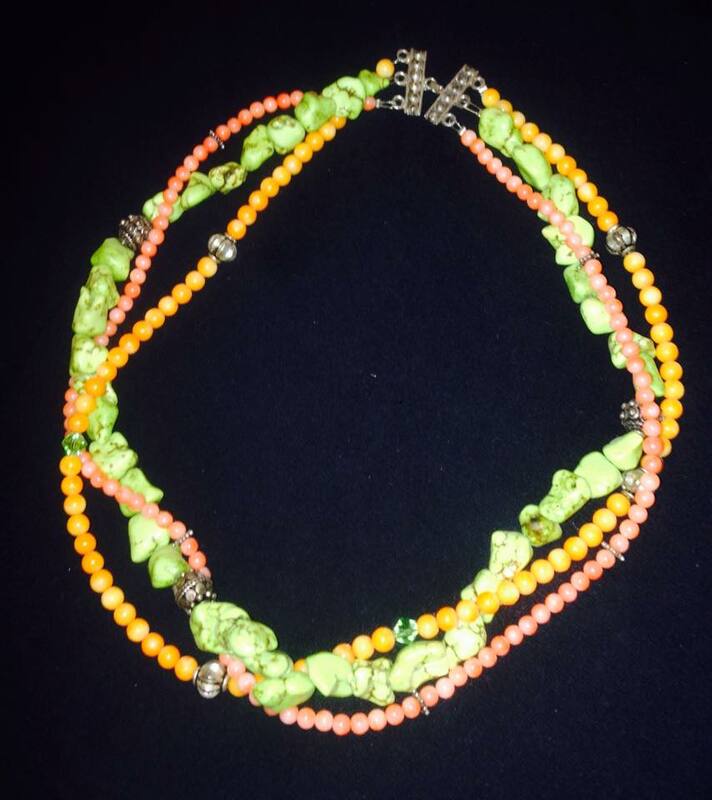 The necklace up for grabs here is actually one I made myself and is a perfect color combination for spring and summer! Anyway- please share away with your friends, if this giveaway is successful in reaching lots of people I’ll do more in the future! Just complete each of the rafflecopter activities and click the boxes and you can enter as many times as you like. The contest will run for one week and I’ll ship out the prizes to the winners! Click the link below or visit our FB page at The Family Farm & Rock Creek Ranch to use the Rafflecopter widget! *This giveaway is not sponsored by or affiliated with McMurray Hatchery in any way. I am from Washington state 🙂 Thank you so much for the chance to win! Thanks for entering! Hope you enjoy the blog!